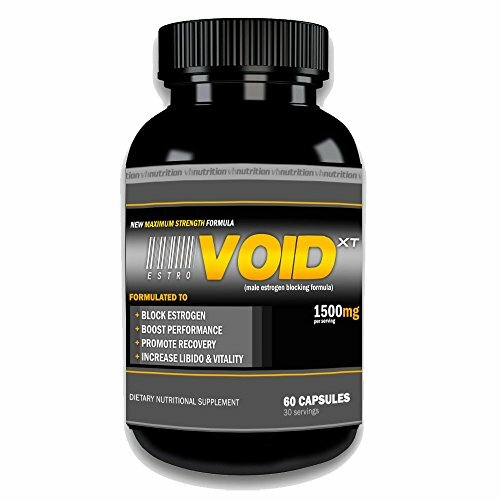 EstroVoid XT is an Estrogen Blocker & Anti Estrogen Supplement. EstroVoid XT is an aromatase inhibitor that blocks estrogen production while providing testosterone boosting support. Blocking estrogen is a common desire for many different purposes. The need to block estrogen production has never been higher which is why VH Nutrition developed a proprietary ingredient matrix to block estrogen and improve natural testosterone production. Our formula uses, Cordyceps, Eurycoma, Eleuthero Senticosus, Rhodiola Rosea Extract, Panax Ginseng, and Ashwagandha which uses ingredients that have been shown to be effective in preventing estrogen production and absorption. We are so confident in our product that we offer our customers a satisfaction guarantee or your money back for 30 days. If you have any questions about this product by VH Nutrition, contact us by completing and submitting the form below. If you are looking for a specif part number, please include it with your message.